Delgado also just recently changed her address so she could vote in Montebello. Montebello City Council candidate Vanessa Delgado. A Hews-Media Group-Community News investigation has found that Vanessa Delgado, the recently declared candidate for Montebello City Council-supported by current Montebello City Councilman Jack Hadjinian- and a candidate who touts herself as a “Montebello home owner and a product of the local community,” has personal ties with the Calderon family, and in particular with former California Assemblyman Tom Calderon, who was indicted for bribery and money laundering charges along with his brother Ron in 2014. In the same investigation, HMG-CN discovered that Delgado, who began looking for and eventually bought a house in Montebello in mid-2014, recently registered to vote in Montebello just weeks before the filing period for City Council candidates. The relationship with Tom Calderon was discovered via a recent campaign flyer where Ms. Delgado listed the location of her June 11, 2015 fundraiser as the “Delgado Residence” at 412 N. 10th Street, Montebello, Ca. 90640. A search on the address revealed the house was owned by Tom Calderon, sold to Ms. Delgado on August 8, 2014 for $555,000, well under market value in the area. 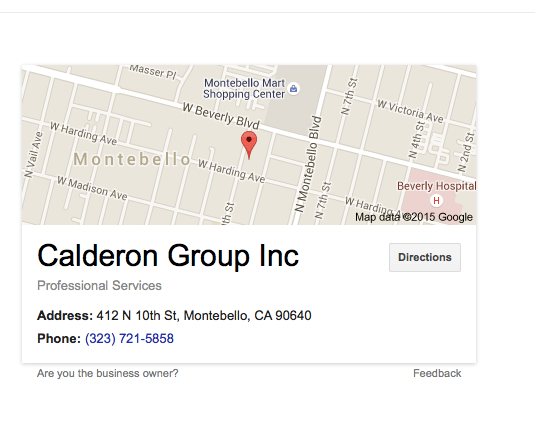 A simple Google search revealed the address to be that of the Calderon Group, Inc., Tom Calderon’s company that secured several questionable no-bid contracts from Central Basin Municipal Water District. Google results of Delgado’s address search. The flyer also lists Central Basin Water Director Leticia Vasquez as a Delgado “Committee Member.” Vasquez is the embattled Director of CB who was recalled from the Lynwood City Council in 2007 and is a “party plaintiff” in a $2 million whistleblower lawsuit filed against the very public agency she was elected to serve. Records show that the lawsuit has cost CB over $270,000, click here to read story. Central Basin Water District Director Leticia Vasquez, a Delgado Committee member, is a party plaintiff to a whistleblower lawsuit against the very district she was elected to represent. Vasquez is also under investigation by the Fair Political Practices Commission for conflict of interest and violating campaign disclosure laws. Vasquez was also linked to a leaked FBI subpoena. Vasquez’ connections to the Calderons have been well chronicled by HMG-CN which include Vasquez’ recent hiring of a law firm connected to the Calderon family. Managing Vasquez’ campaign money was David Gould, owner of Los Angles based David Gould Company and the preferred treasurer of Ric Mayer and Angel Gonzales. The flyer obtained by HMG-CN show that David Gould is Vanessa Delgado’s treasurer. Delgado campaign flyer showing David Gould as her treasurer. In addition, on the same campaign flyer, Ms. Delgado, who works for Primestor, a large real estate developer based in Los Angeles, noted some of her other “Delgado Committee Members” one as her boss, CEO of Primestor Arturo Sneider. Sneider also has connections to the Calderon’s, working together with Tom Calderon on a Garfield High School project where he donated $25,000 to restore the gymnasium. Snieder and Ron Calderon also endorsed Ricardo Lara (D-Bell Gardens) for State Senate. It was also discovered by HMG-CN that Delgado registered to vote in Montebello nine months after she moved into the city, according to electronic records at the Registrar/Recorder’s Office in Norwalk. Just weeks before the state mandated deadline to register which would enable her to run for City Council, Delgado, the candidate who touts herself as a “Montebello home owner and a product of the local community,” finally registered to vote under her new address in the city. 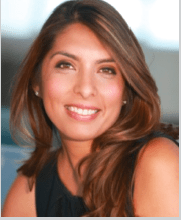 Ms. Delgado recently bought a home in mid-2014, moving from Pico Rivera to Montebello, a time to presumably change the voting record from Pico Rivera to Montebello, especially if contemplating a run for City Council. But Ms. Delgado neglected that civic duty until May 15, 2015. An examination of the electronic records at the Registrar Recorder’s office June 15 showed that no one under the name of Vanessa Delgado was registered to vote in Montebello, however there are three included in the records from Pico Rivera. According to the Montebello City Clerk’s office, Ms. Delgado could not run for City Council unless she was a registered voter in Montebello. California Government Code No. 36502 also confirmed that Ms. Delgado could not run stating, “a person is not eligible to hold office as councilmember, city clerk, or city treasurer unless he or she is at the time of assuming the office an elector of the city, and was a registered voter of the city at the time nomination papers are issued. The filing period in Montebello to run for City Council begins July 13, 2015. Current resident of Montebello and what I find amusing about Vanessa Delgado is that she has no shame in having married men sleep over her house. An A 48 license plate to be exact. Disgusting woman running for council. And once again these comments referring to her as a “hoe” “broad” “chick” are just stupid comments that show we live in a sexist, masochistic society that would rather berate a woman…. I agree that “hoe” is not necessary here. Better to stick to facts. I think you may have meant to write “misogynistic” though. It has a totally different meaning than “masochistic”. This should be required reading for voters. Latina hoe all the way and now she’s Mayor Jack’s wanna be armenian-looking action. Not good for Mtb. but I’d vote for her if I lived in the hood. Usually chicks like her just end up getting used up and tossed. She’s a survivor alright. I think she has a kid that must be pretty old by now. Wouldn’t be surprised if she a grandma by now given what thjat kids probably seen. More Montebello scum. It speads like cancer in that town. A Leticia Vasquez connection means that Jim “teacher jail” Roybal is right around the corner and Bob “call me Daddy” Apodaca as well. Nothing good can come from more dirt like Vasquez and Delgado invading Montebello. When there’s nothing left to steal will these people finally go away?